Mostly music inspires my creative spirit, but sometimes, I realize a song I’ve set on repeat happens to go with a character or part of my plot. I write historical fiction set in the Victorian and Gilded Age with a slightly Gothic edge and usually a magical twist. I listen to an eclectic mix of music while I write, but the songs that inspire me the most tend to reflect the darker side of my work. A lot of times I’ll put on a classical station on Pandora and then a rain station on YouTube to create the perfect atmosphere. I grew up near the Mojave Desert in a town called Palmdale where it never rained, so I write in a dreary bliss when I feel like a storm is raging outside. Even some of the classical music I listen to incorporates storm sounds. In Spirit Wind, composer Dan Gibson weaved howling wind through a soft cello and piano melody. Otherwise, I enjoy a lot of modern piano like Porcelain by Helen Jane Long. Sometimes, I’ll listen to a specific song just before I get started, kind of like a pump up routine. Such songs have varied over the years, but Oblivion by Grimes or Video Games by Lana Del Rey are good examples of the kind of haunting yet up-tempo pieces that get me going. 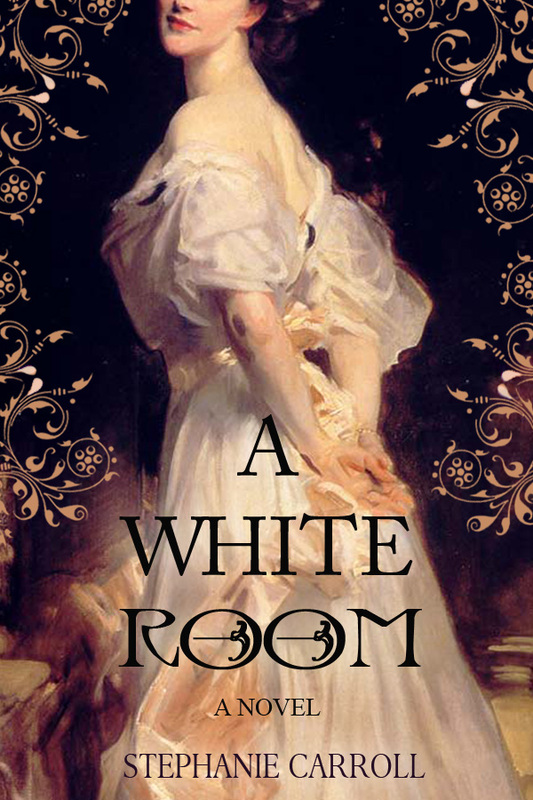 My first novel, A White Room, is a Gothic Gilded Age story about a woman who clings to her sanity by secretly pursuing her dreams of nursing despite her new husband who prosecutes unlicensed practitioners. When I first started working on it, my pump up music included Keane’s Nothing in My Way and A Bad Dream. I found that the lyrics to Nothing in My Way kind of went with my main character Emeline who is trying to conform to a life she does not want and is conflicted by the desire to run away and the desire to honor her obligations. My second novel, which I am currently prepping for submission, is tentatively titled The Binding of Saint Barbara and is the story of the first death by electrocution told through the eyes of the warden, his wife, and daughter, all of whom live in Auburn Prison during the year the condemned inmate awaits his death in 1890, New York. A major theme in this novel is forgiveness, something that I personally wrestled with during the years leading up to and during the creation of the book. At the height of that struggle, I listened to Innocent by Taylor Swift over and over because I wanted to accept not only my own innocence, but also that of those who had hurt me, a lesson that was subconsciously carried into the book. During the editing stages of The Binding of Saint Barbara, I listened to a lot of my rain-classical combo, but also a couple power songs including Willow Tree March by The Paper Kites and Vanessa by Grimes, which touch on common symbols and themes I use in the book. The lyrics to Vanessa just so happens to correspond to the warden’s daughter, Charlotte, who is maturing into a young woman and is desperate for love even if it comes from the wrong people. A year or so ago, I wrote a short story called Forget Me Not that was featured in Legacy: An Anthology, and at the time I was really struggling with getting older and where I was in my career. You always imagine where you’ll be when you turn a specific age, and then when you get there, it’s like, ah man. So being the creepy little writer I am, I took that feeling and turned it into a piece about a woman named Lauraline who lives in historical Colma, California, a town of nothing but cemeteries. Lauraline knows she will die in three days without having accomplished anything significant in her life, so she sets out to do something memorable before time runs out. I really wanted to create an eerie and heartwarmingly tragic atmosphere, so I listened to some gloomy pieces like The Shadow’s Bride composed by Peter Gundry and Classical Moods’ Melancholy. What can I say? Whether it’s through a dreary rain storm, haunting motivation, melancholy tones, or just Taylor Swift, my creative spirit thrives while listening to the darkest of soundtracks. As a reporter and community editor, Stephanie Carroll earned first place awards from the National Newspaper Association and the Nevada Press Association. Her debut novel A White Room was featured as a Notable Page Turner in Shelf Unbound Magazine and named 2013’s Best Cross-Genre title by USA Book News. Her short story Forget Me Not was recently featured in Legacy: An Anthology, and she also writes a blog for military wives and girlfriends called Unhinged & Empowered. Find her at www.stephaniecarroll.net or @CarrollBooks on Twitter, also at Facebook, Goodreads, Instagram, and Pinterest. This entry was posted on May 11, 2016, 5:36 am and is filed under Undercover Soundtrack. You can follow any responses to this entry through RSS 2.0. You can leave a response, or trackback from your own site. I sampled everything, and will go back and run the playlist. The Taylor Swift piece was touching. Your work about the first execution by electricity I expect to be moving. Kind of like the guys that dropped the A-Bomb. The newest death by government means. After The Afterlife https://www.youtube.com/watch?v=n25172VewNk by the unique two sister team CocoRosie. One sings operatically, and the other in a broken girl voice. My wife and I saw them perform, definitely worth attending. Once again, thanks Roz for giving voice to writers minds. Beautifully evocative stuff, Stephanie. Not that it might have anything to do with your musical tastes, if you don’t know it already, Frank Zappa grew up near Palmdale, and wrote a twisted little pop tune called Village of the Sun about it (on the Roxy and Elsewhere album). Zappa was a huge American musical, satirical, and theatrical force, a rock band leader who could compose in any style, and an incredibly lyrical guitar player. Being a Palmdalian, get to know his music if you don’t. Good to see you two discovering Stpehanie’s Sountracks. Thanks for commenting!